Today I'm going to talk about one of my all-time favorite brands, for a variety of reasons, called Burt's Bees. 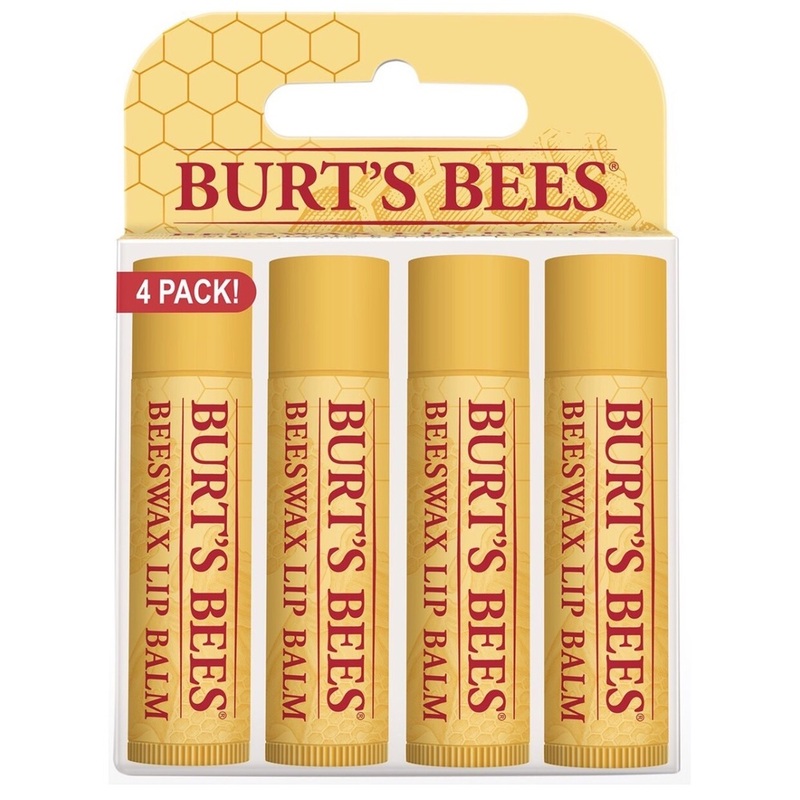 The lip balm is what first turned me on to Burt's Bee's. It is made with natural ingredients, the main one being bees wax. I loved the staying power of this balm and the slight, tingly feeling it gave my lips as I applied it. It also kept my lips soft without having to constantly re-apply. I'm somewhat of a lip balm addict and this is the best one I've found. They've now expanded their lip products to include tinted lip balms, lipsticks and glosses. I wear their lip products exclusively at this point and have loved the many colors I've tried. Burts Bee's has grown so much as a brand since the beginning. They have all kinds of hand salves and lotions, that all smell heavenly, with a hint of honey. They even have belly creams and many products for pregnant women. One of my favorite lines is their Baby Bees stuff for children. We've used the tear-free shampoo and diaper rash cream in the past and loved it. Burt's Bees has also branched out recently into kids clothing. You can catch their products often on sale on my favorite online shopping site, Zulily. The clothes are not only adorable, but they are organic and made with the softest materials. The best part of all is the care and quality ingredients they put into their products. Most everything is 100% natural with ingredients like honey, berries, flowers and cocoa butter. I love how transparent they are on their website, listing every ingredient out. Basically, there's not been one product I've tried that I haven't like from Burt's Bees. You can find their products at most big retail stores, online and of course on Amazon. Give them a try, start with the lip balm. You'll be hooked in no time. For more information on Burt's Bees click HERE. Older PostQuestion: Why Is July Your Hardest Grief Month?